Heat Treat 2017, the biennial show from the ASM Heat Treating Society, is considered the premier, can’t-miss event for heat treating professionals in North America. This year’s conference and expo will feature an exciting mix of new technology, exhibits, technical programming and networking events geared toward the heat treating industry. Visit us at booth #2712 and be sure to stop by the Solution Center on Wednesday 10/25 @ 12:30 pm to hear Dan Saenz present on Value Based Vacuum Measurement. While there’s considerable cost associated with the initial purchase of a furnace, maintenance over the life of the furnace is also a very significant investment for the end user, and this investment is often overlooked. 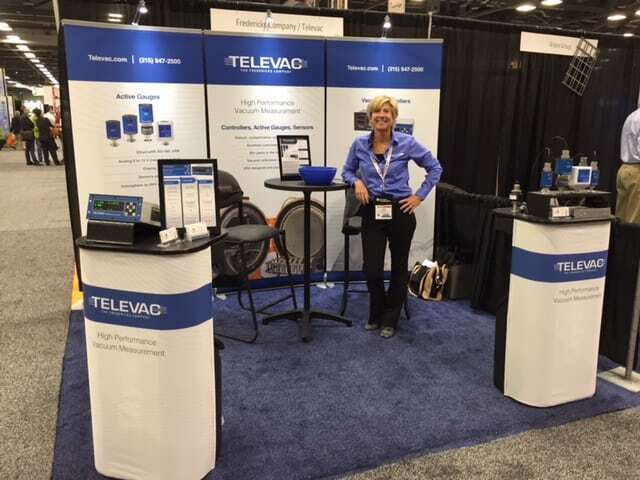 Whether this cost is related to vacuum gauging calibration, cleaning, replacement, or downtime related to all of the above, Televac products are specifically designed to reduce maintenance costs for the end user while maintaining a design that’s simple for OEM furnace manufacturers to integrate into their systems. This provides clear benefits for both OEM furnace manufacturers and end users alike.